Mental arithmetic is the complete use of brain functions to complete the basic arithmetic process without the aid of other tools and equipment. Neuroimaging studies of mental arithmetic have revealed some brain regions and networks associated with them. However, there are still many unsolved problems about the brain function network structure in mental arithmetic. We designed a mental arithmetic experiment consisting of four experimental conditions, and a group of 21 subjects were recruited in the experiment. The collected fMRI data was used to construct the brain functional connectivity network with atlas of Dosenbach-160. We used graph theoretic based network analysis method to calculate the small world attributes and network efficiencies of each subject’s brain functional network, and tested the statistical differences between the experimental conditions. 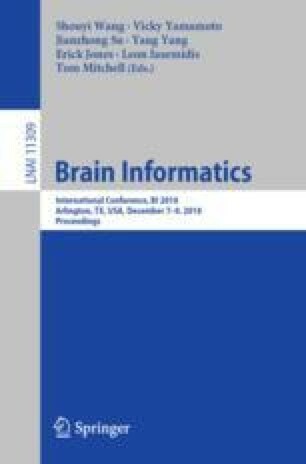 The results show that, when the human brain performs addition or subtraction, the functional connectivity network statistically shows a significant characteristic of small world from the resting state. And experiment condition of resting has a higher clustering coefficient over a continuous graph density than number matching, showing a more significant small world property. Results of network efficiency show that resting has slightly higher network-wide information exchange productivity than number matching. Furthermore, due to the limitations of the size of the recruited subjects, the report results can only be an exploratory attempt, which needs to be verified by a larger sample of data in the future.